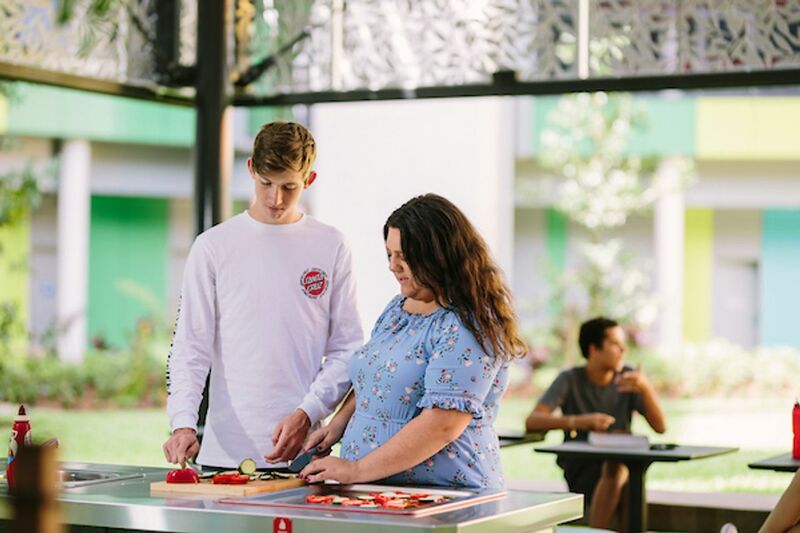 This brand new on-campus facility is just a stone’s throw from classes at James Cook University Cairns. 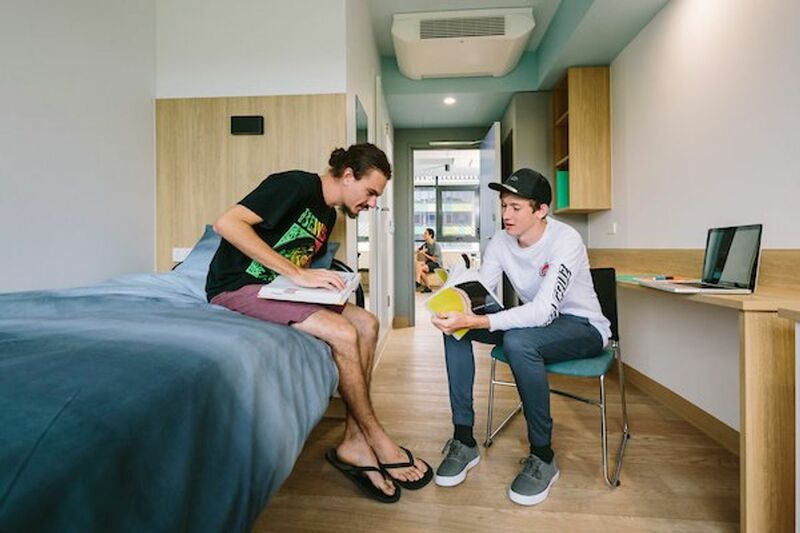 Living on campus is a great way to experience uni life, as there’s always a social or cultural event happening – whether it’s fun orientation activities, international food nights or a block function. Living options include Studios or six-bedroom multi-share apartments, and all are equipped with cooktop, oven, microwave and refrigerator. A 42-metre long internal grass courtyard features shared BBQ facilities and is the perfect place to relax and hang out with friends. Cairns is a place that truly embraces the outdoor lifestyle. Take a dip in the ever-popular lagoon or join one of the free fitness classes on the Esplanade. Explore the waterfalls and rainforest; and relax on one of the nearby beaches – such as stunning Palm Cove or Trinity Beach. When you’ve got this kind of paradise on your doorstep, why would you study anywhere else?